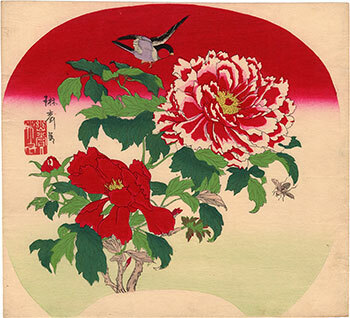 Fine polychrome woodblock print of the uchiwa-e (団扇絵) type, that is intended for the decoration of a bamboo uchiwa (団扇) fan, made around 1880 by the famous artist Utsushi Rinsai (芝琳斎) and depicting peony flowers (牡丹), a bullfinch (ウソ) and, in the lower right, a small bee (蜜蜂). 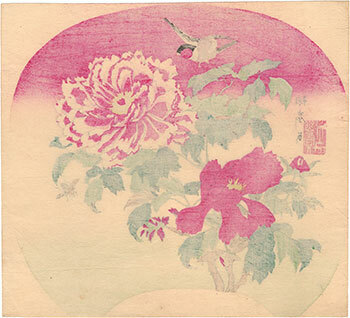 Master Rinsai was active in Tokyo between 1869 and 1890. 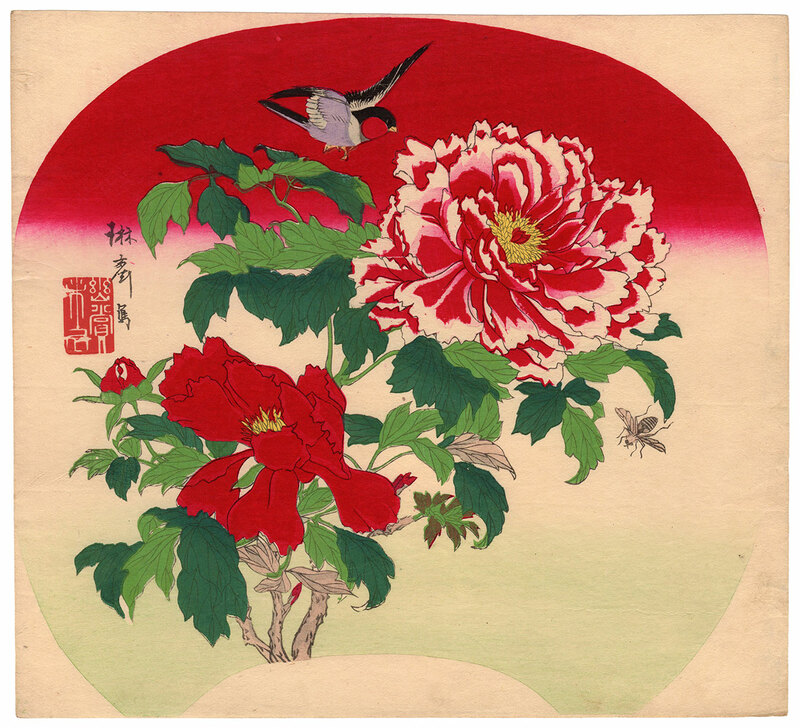 His artistic activity was focused entirely on kacho-ga (花鳥画) images of flowers and birds, made in a dynamic and sometimes unusual way, that is combining traditional Japanese landscapes with the addition of particular decorative Western techniques. 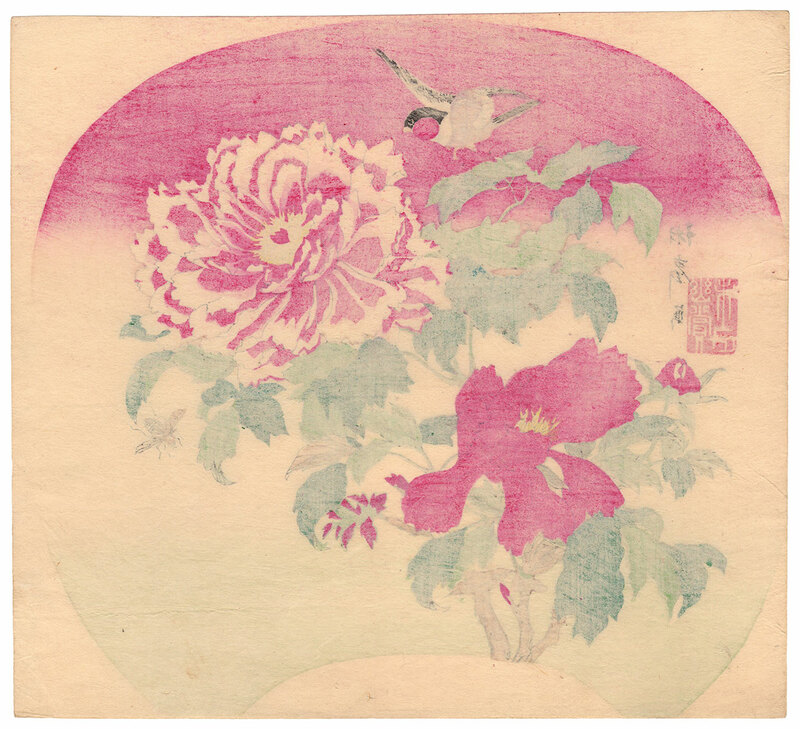 The woodblock print on Japanese washi paper (和紙), despite the right signs of the time, is in very good general conditions.